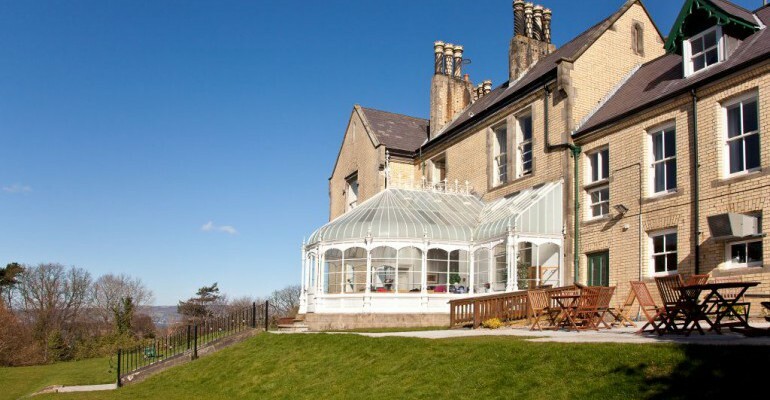 ​Lorne House is a beautiful period property built in 1875 and still retains much of it’s original character. It was the home of Henry Campbell, a prominent Belfast linen merchant, who names the estate after the hereditary home of the Campbell clan in Scotland. Purchased by Girlguiding Ulster in 1946 it is now an upgraded, modernised residential venue with access throughout for those with additional needs. The ground floor comprises a large entrance hall, solarium with comfortable seating area, gracious dining room and 4 elegant versatile meeting rooms. A newly refurbished, fully equipped kitchen offers 2 6 burner gas cookers, fridge freezer, dishwasher, hot trolley, and a laundry room with washing machine and tumble dryer. The upper floors in Lorne can accommodate 29 residential guests in a range of bedroom sizes. There are 2 bathrooms, each with 2 showers, sinks and toilet facilities. In addition there is a single ensuite shower room servicing 2 bedrooms. A stroll around the well tended grounds is a pleasant way to unwind at the end of a busy day, or perhaps you may enjoy watching the sun go down while sitting in the solarium overlooking the patio, tastefully designed with tables, chairs and shrub areas. We require each group to have a minimum number of 16 participants.